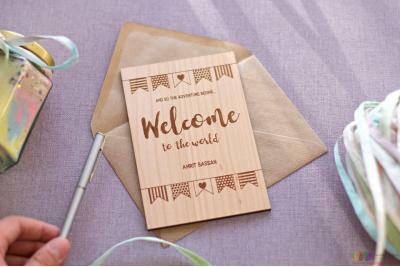 A personalised wooden New Baby card, perfect for a beautiful bundle of joy! 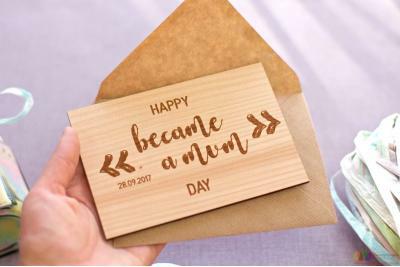 Someone you love has just completed one of the biggest (and hardest) tasks on earth – they’ve had a new baby. 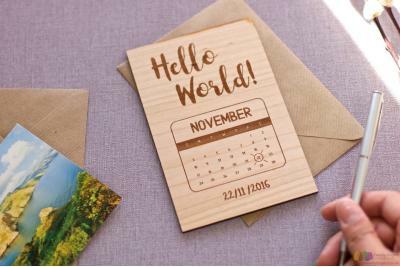 So why not treat them to yet another perfect gift – a personalised card! A beautiful, bouncy, bundle of joy? We have cards for boys and girls! Something a little humorous? We’ve got that covered, too! 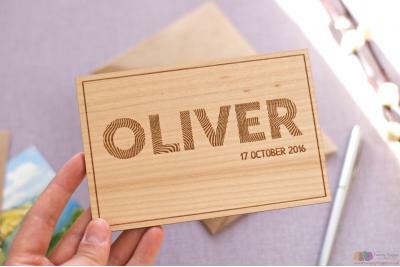 Perfectly personalised? Oh, go on then! 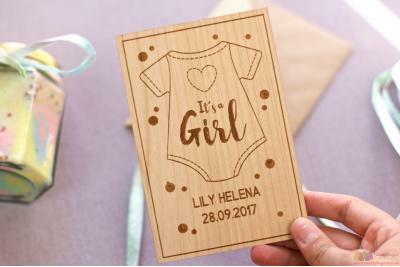 So why a personalised new baby card? 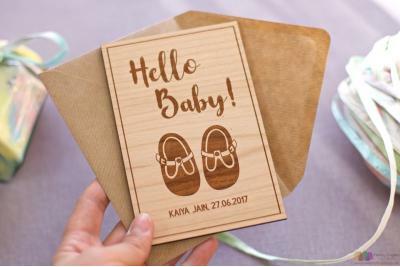 Personalising your New Baby card is easy! 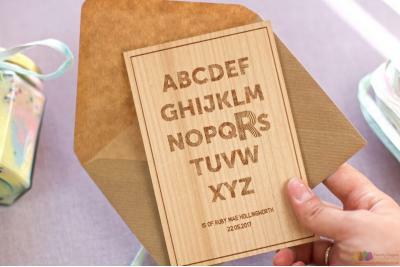 Our personalised wooden cards aren’t just pretty, they’re funny too! And we pride ourselves on making the process as easy as 1,2,3! Type a message that will last for years to come! Then let us do our magic! FREE UK Delivery and Returns – like a stork, only you can send our gift back for a refund! Our deliveries are guaranteed to make you and your loved one smile, so before you know it (about 5 days), you’ll be the proud owner of one of our lovely cards. Ok, so you didn’t offer nappy duty, but you did just give them something almost as awesome as their new offspring! 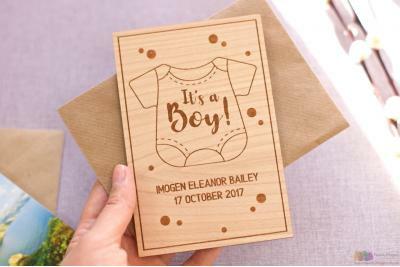 Obviously, we’re as biased as new parents gazing into the face of their little darling, but we think our personalised new baby cards are a bit special, but don’t just take our word for it, check them out! 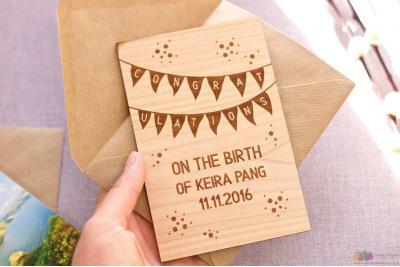 Order now, and let us help you give them something memorable to treasure!